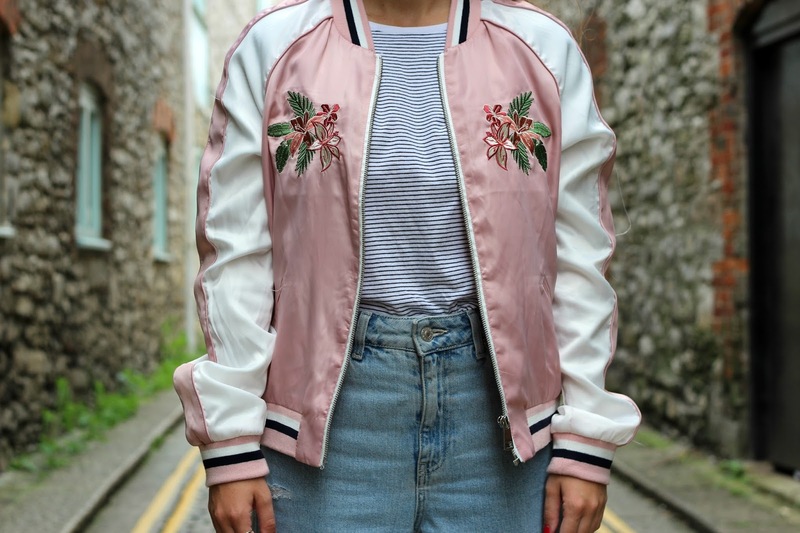 Bomber season is my favourite season, aka the transition from spring to summer and summer to autumn, and there’s really nothing I love more about transitional season wear than the bomber jacket. 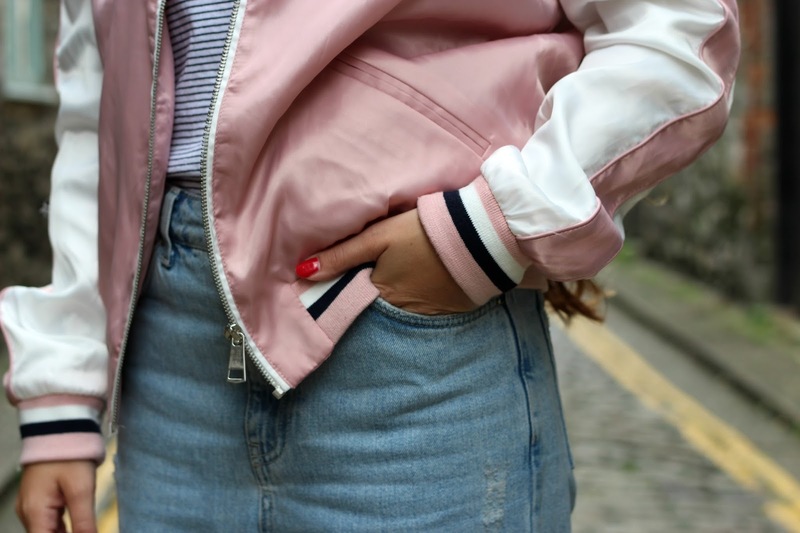 It’s a more lightweight and thinner layer than a coat, and it feels much more justifiable to buy a bomber jacket in at least 10 different styles each year. It’s true that I’m completely smitten with this Stradivarius bomber, so much so that I wore it 3 DAYS in a row last week, and it’s very rare these days that I even seem to wear anything twice (so bad I know!). I picked this up when we docked in Barcelona on my cruise, it was under 30 euros and it’s just perfection. 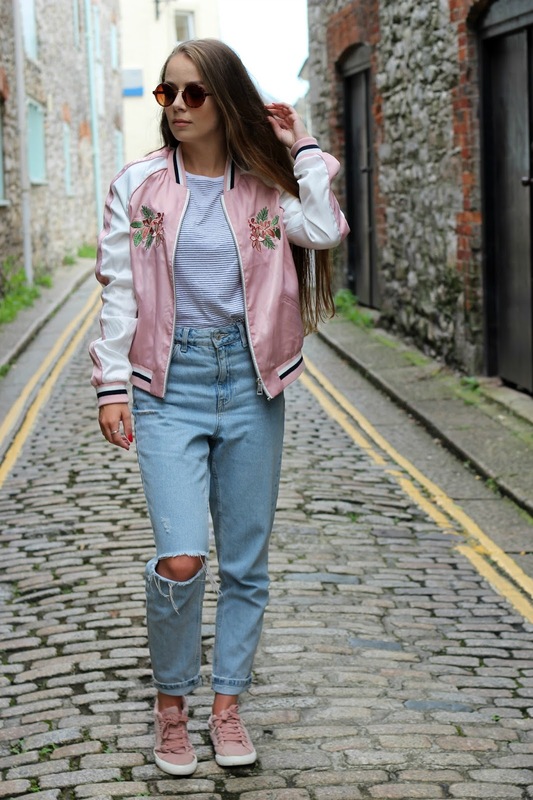 I love the pastel pink and white combination with the floral embroidery on the front, it looks great with a laid back look like this, or with a dress. 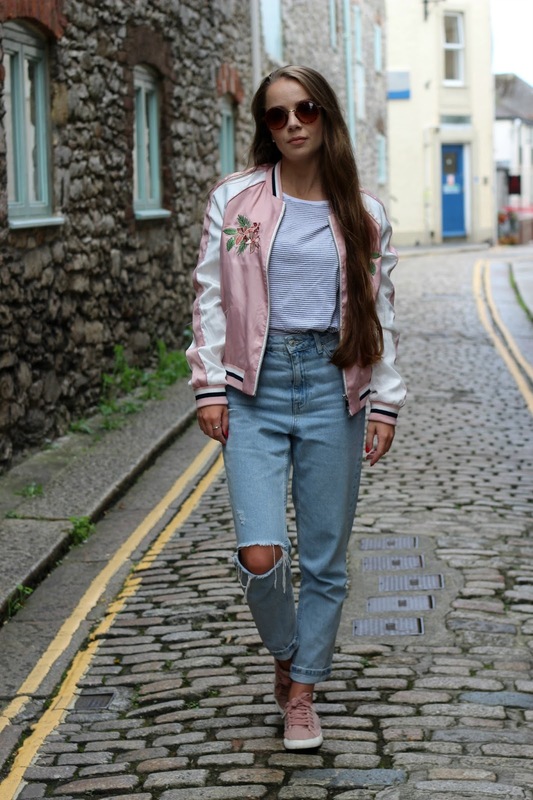 Bomber jackets are one of the most versatile pieces of a wardrobe that can help to finish any look off, whether you’re heading out for a casual brunch or an evening out! 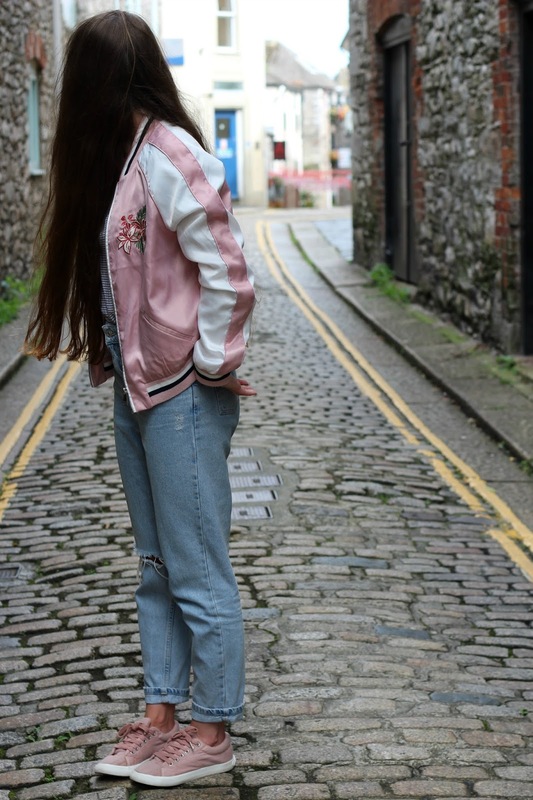 I’m also such a fan of the embroidered denim jackets that are currently doing their rounds, I’m just waiting for a Primark and Asos one that I’ve been lusting after from their press days to be released, so no doubt you’ll spot them on my blog over the next couple of months! 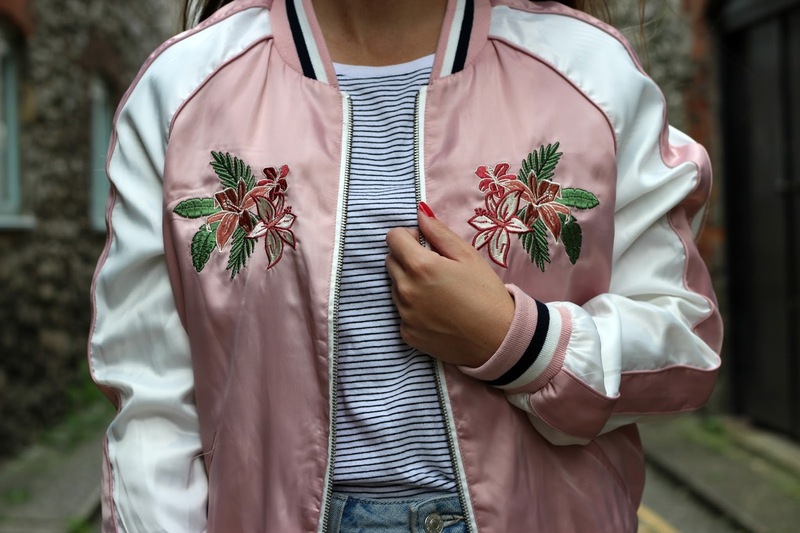 Are you a fan of bomber jackets? 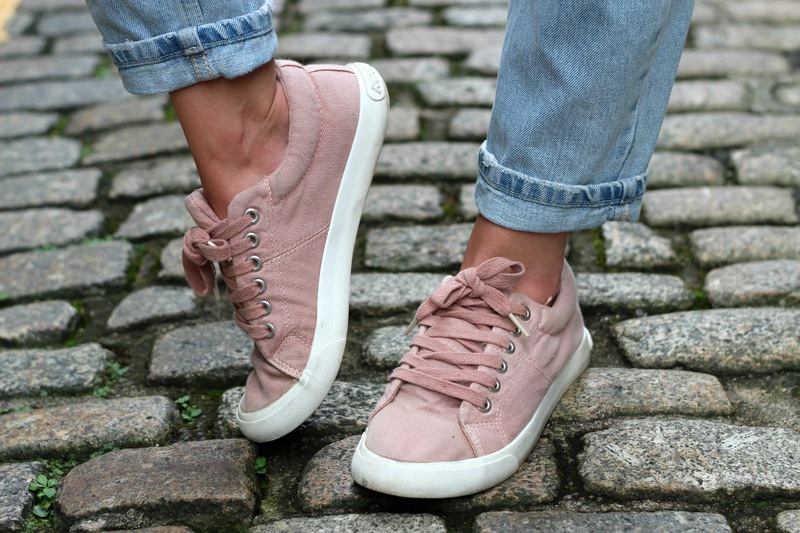 Do you like Stradivarius? 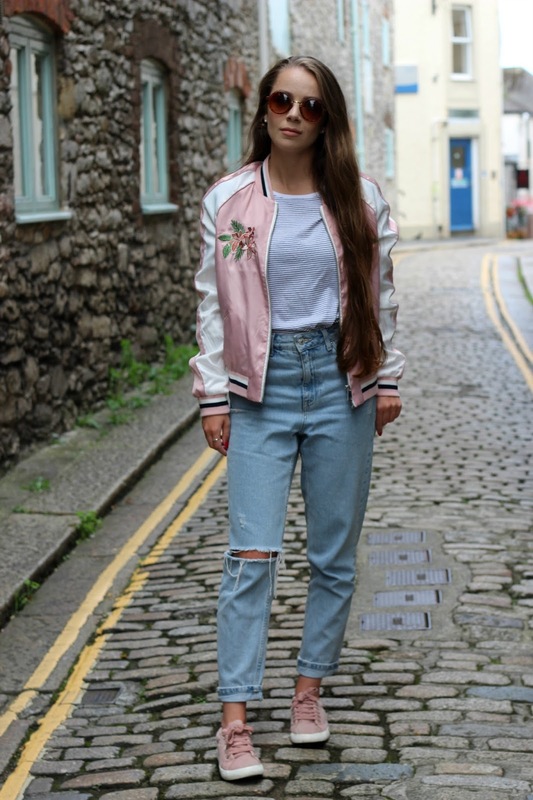 Do you like embroidered denim jackets?